The SEC has been faithful to its practice of keeping cases and whistleblower identities private ever since the Office of the Whistleblower was first established. Partly because of this, SEC whistleblower awards have always been extremely newsworthy, especially when the whistleblower's name somehow made its way into a journalist's desktop. 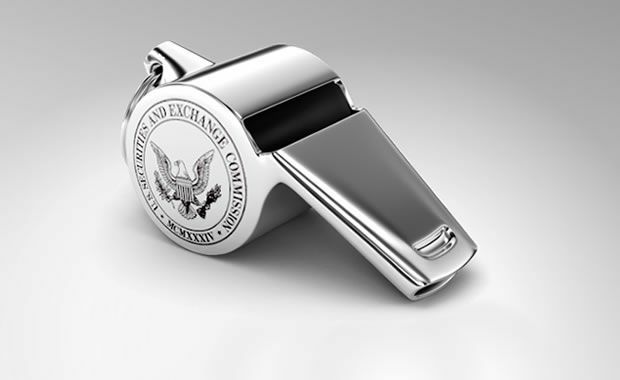 But if the SEC’s whistleblower awards have appeared to be a rarity so far, that seems to be about to change. In terms of scope, rewards, and recoveries, the program has been gaining momentum, and it has just hit an important benchmark. SEC has just awarded over $5 million to one whistleblower and $3.5 million to another, all in the span of one week. The $5 million award is the third largest amount the SEC has ever paid a whistleblower. The largest sum the SEC ever awarded under the program was $30 million, in September 2014. The second largest award was of $14 million, paid in 2013 for a tip about an alleged scheme to defraud overseas investors seeking U.S. resident status, the total awards paid to date add up to $67 million, divided among 29 whistleblowers. A sizable portion of tipsters have been foreign citiczens, a fact which has prompted a discussion about whether foreigners are still eligible for U.S. whistleblower protections. The $30 million awardee from 2014 was actually a foreigner, and he was confident enough to make a statement through his legal representatives. "I was very concerned that investors were being cheated out of millions of dollars and that the company was misleading them about its actions. Deception had become an accepted business practice," the anonymous whistleblower said in a press release. With or without details about the scope of the fraudulent schemes dismantled with the help of cooperating company insiders, the increased amounts and frequency of the SEC's whistleblower awards sends a clear message to willing tipsters. According to SEC sources, there is a wide range of serious violations that are virtually impossible to detect without the assistance of people who have worked inside the organizations that committed the fraud at hand. Attorneys representing SEC whistleblowers now claim that a properly investigated and well packaged claim presented to the Securities Exchange Commission now has a reasonable chance of a follow up investigation.